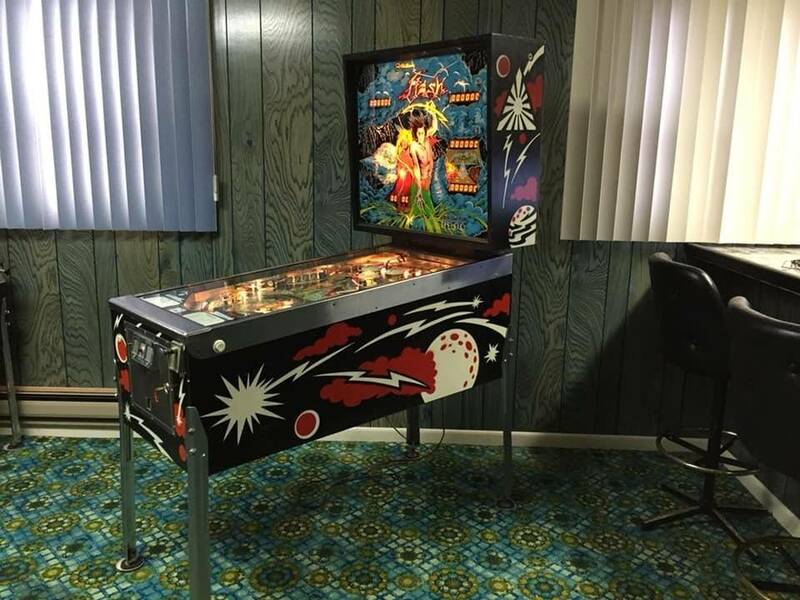 » Forum » Market » Pinball machines for sale » For sale: Flash. Super rare. Only 20,000 made. » For sale: Flash. Super rare. Only 20,000 made. For sale: Flash. Super rare. Only 20,000 made. Game plays great and is in nice condition for its age. It's set up for free-play. 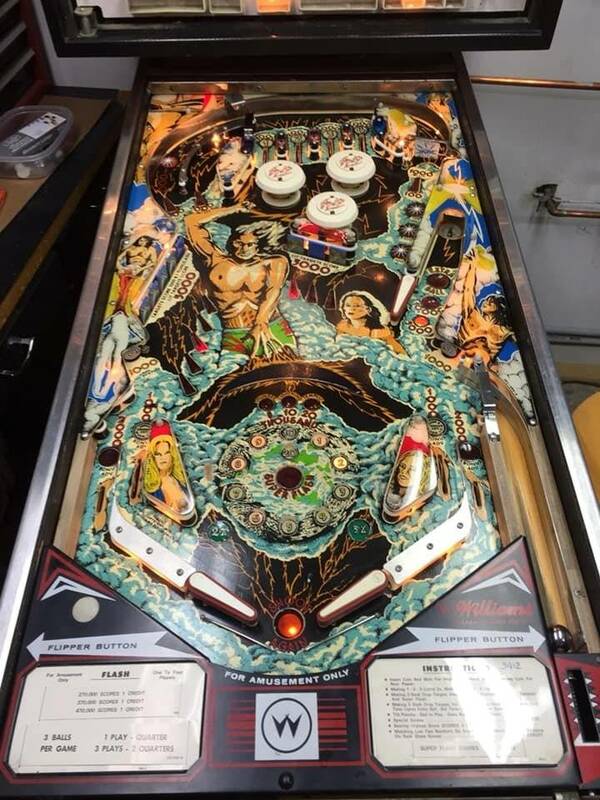 Playfield only has a few wear spots. All plastics are good with none broken or chipped. Backglass looks ok from front but has lifting and scratches on the back. Coin door has a few dents. Work that has been done to it. MPU board: upgraded/rebuilt, Scanbe sockets replaced and coin cell battery added. Driver board: upgraded to system 7. rebuilt w/new 40 pin edge connector and all other Molex connectors replaced. New ceramic 5W 27 ohm power resistors in the lamp column. 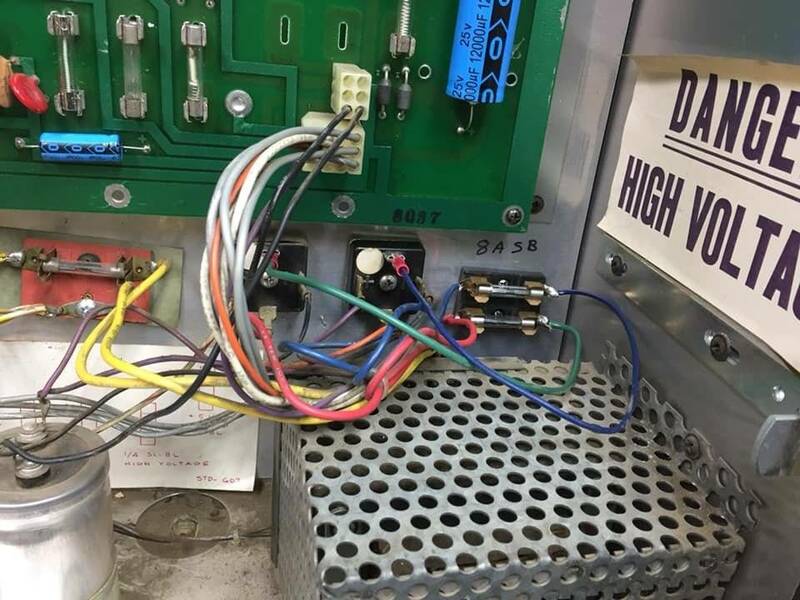 switch matrix input resistors were changed to zero-ohm jumpers to increase sensitivity and responsiveness. 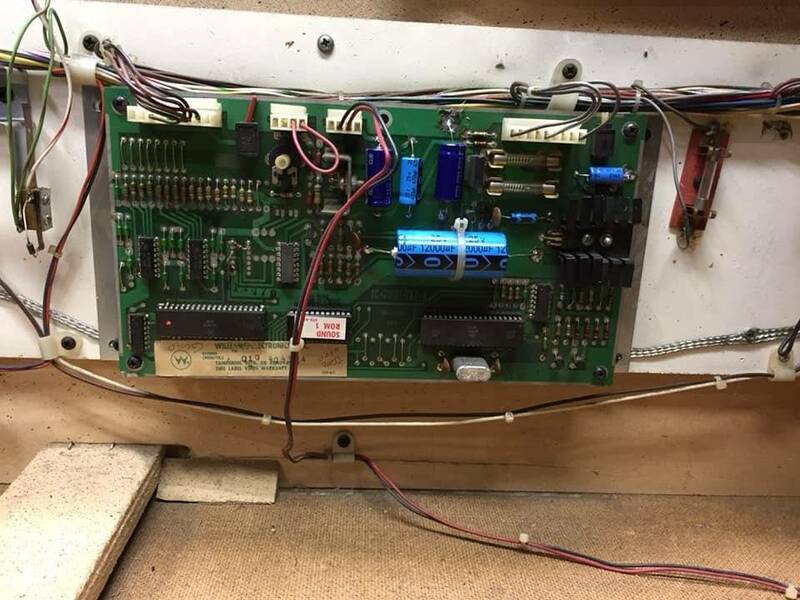 Power supply board: repaired/rebuilt and all caps replaced. Transformer: Added fuses for the 13.5v Lamp bridge Rectifier and the 25.5v Solenoid bridge Rectifier. 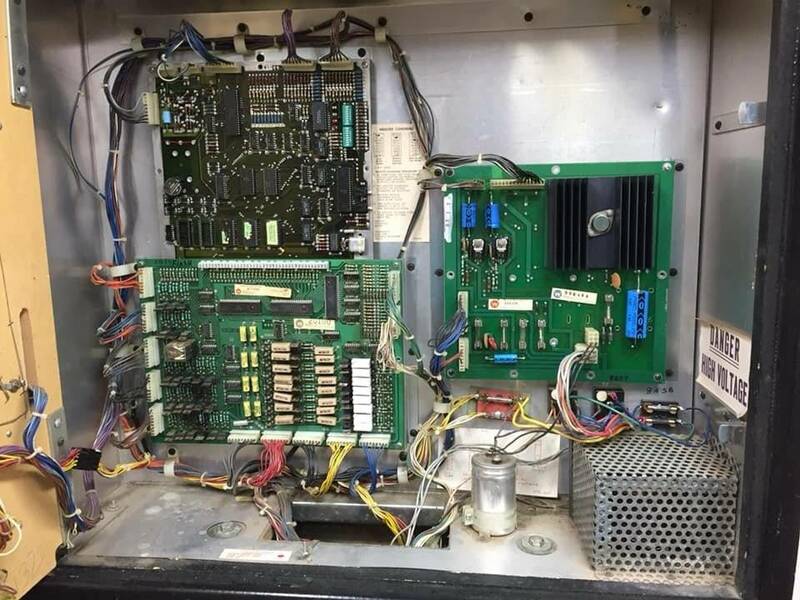 Sound board: repaired w all capacitors replaced. 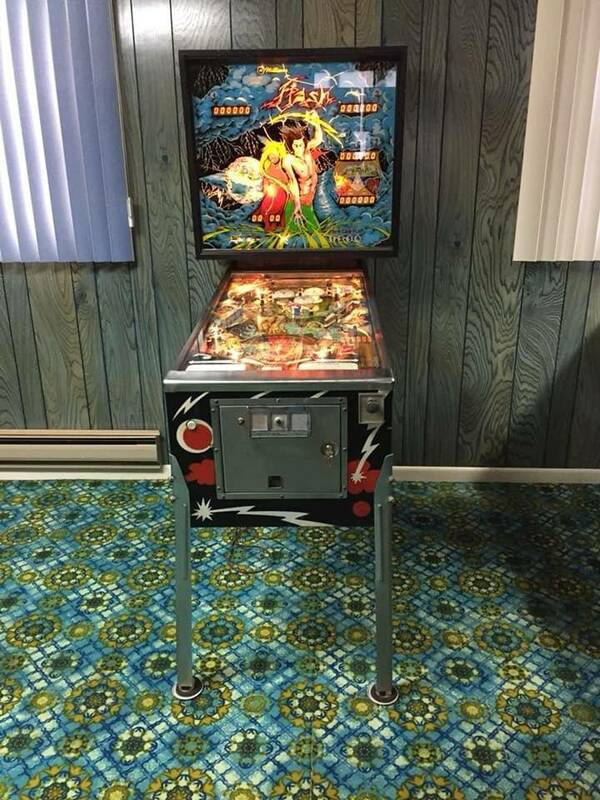 Playfield: top side was torn down, cleaned and waxed. New rubbers installed. 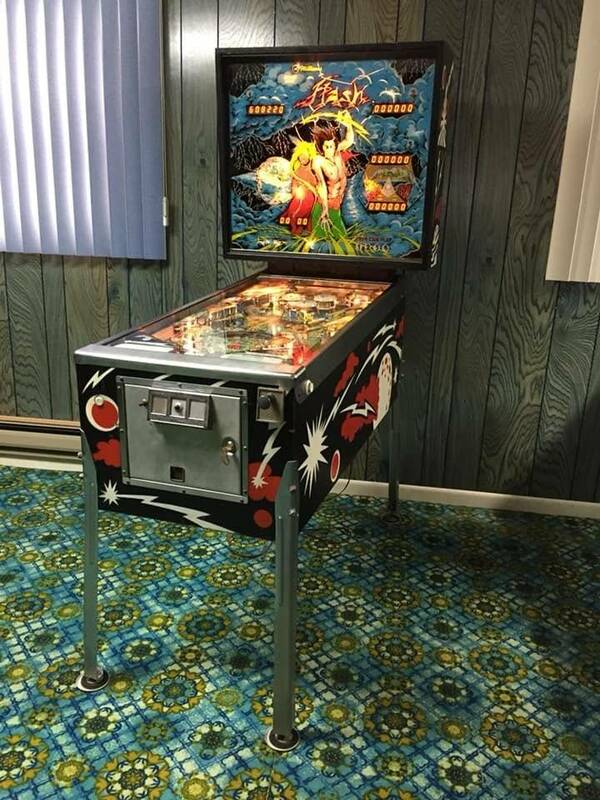 All playfield GI lights were replaced with new #47 bulbs. 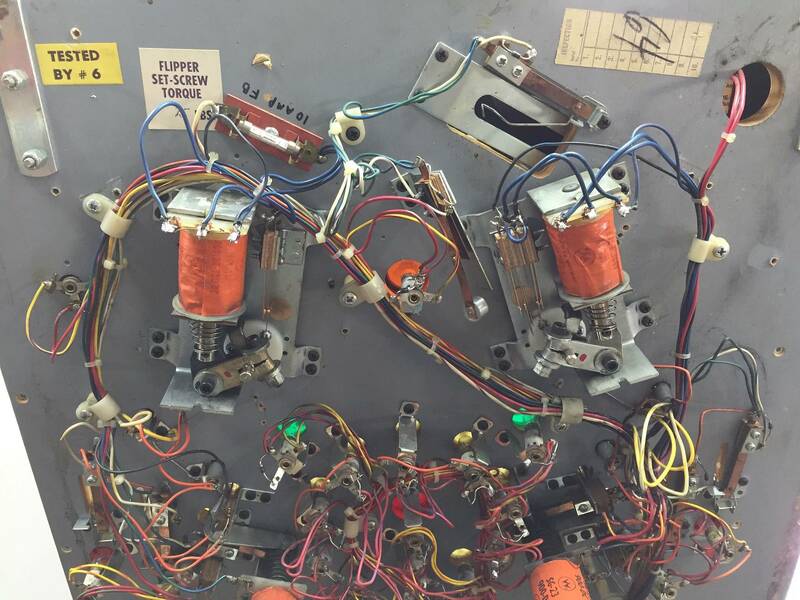 New #47's were also installed in controlled lamps in the center area of playfield. 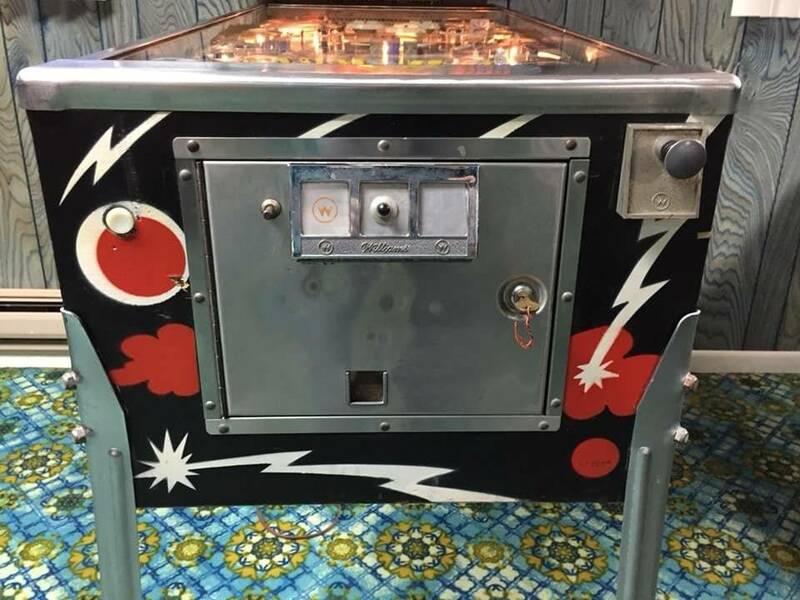 (these are hard to change so went with new lamps since I had the playfield out. Drop targets: were completely torn apart, cleaned and new sleeves installed. Flippers: Upgraded to system 7 mechs and rebuilt with new sleeves, bushings, Springs, links and EOS switches. Popbumpers: Adjusted and new sleeves installed. These are arcademojo's all time market stats. "Super rare" gets a bump from me! Pinside sellers pay attention, this is what an honest for sale ad looks like! 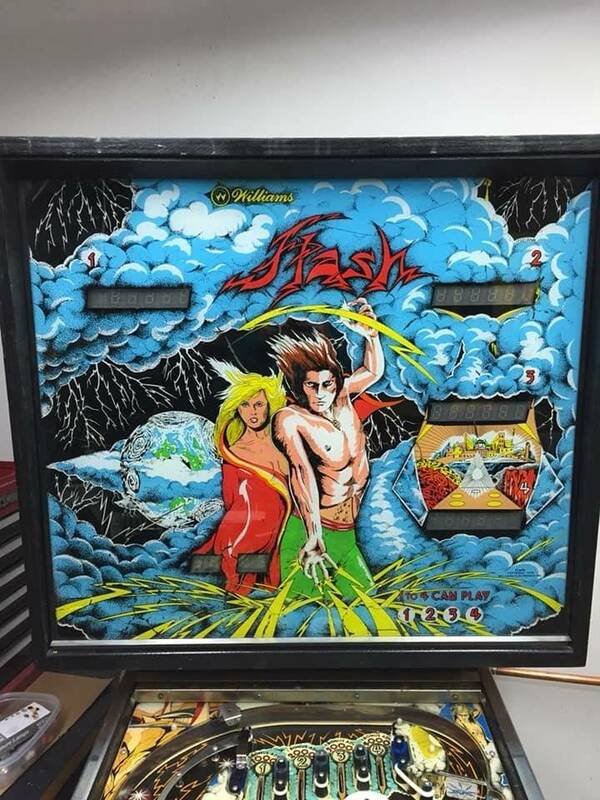 Nice example of a mass produced rare game. Arcademojo is one of the good guys. Bumpity! 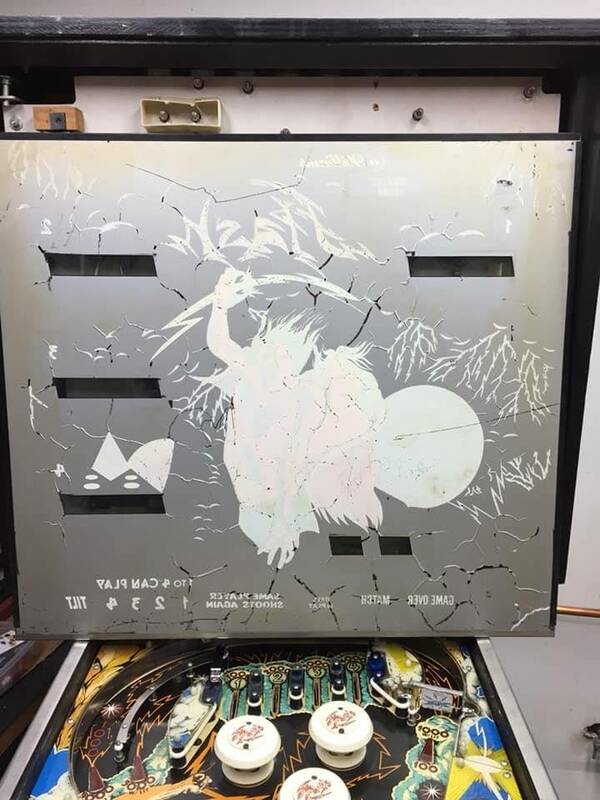 If be all over this but I dont buy super rare games as parts are impossible to get. And only copied by other companies 20,000 times. And what even more rare than the game is the carpet in the picture that the game is on.. Probably a one of a kind and probably from the 60s. Hey it was here when we moved in. Came down to spending 2 grand on carpet or buy another pin. wonder what I choose? The real winner is definitely the carpet! Bump for a great description on your work and doing it right! But are you sure it is not a "proto"
If you add another zero on to the end of that price, that would be what seems to be the trend around here lately. Love the sarcasm & this should sell quick. I forgot to ad that it's been home use only for the past 20 years. I'm selling it too cheap!!!! I've got one on the way, hope that mine looks as good as yours when I get it here, GLWTS! Bump for fun! Made me laugh. How much for the carpet? More rare than the game for sure. Seriously though... the carpet is awesome. I would not change it - Especially with the paneling. 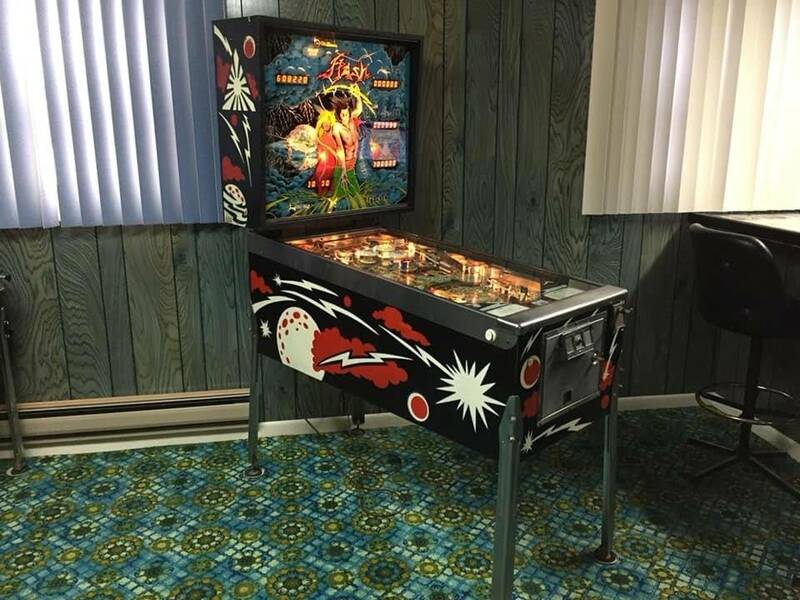 Classic 50's - 60's look goes great with vintage pinball machines. Forgot to mention that I upgraded the crappy old two piece EM style flipper mechs on the bottom two flippers to system 7 mechs. Makes a huge difference in the flipper response and a little extra power. Had a buyer lined up but shipping through NAVL was a deal killer. What the hell do you think you're doing? You aren't allowed to sell machines (except Pharaoh and only to me). Game is now sold to a local buyer.